What The Will To Live Foundation Is All About! 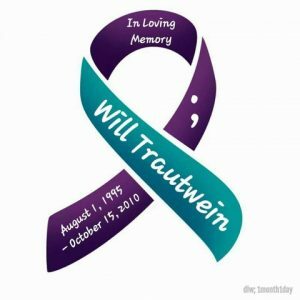 Watch Will to Live Co-Founder, John Trautwein’s personal account of how the Will To Live Foundation was formed afterthe suicide death of his son Will. Have funded the acclaimed Signs of Suicide (SOS) program for well over 2,000 high schools and middle schools across the country. Including every public school in Fulton County and now Cobb County which begin in the fall of 2018 (Atlanta, GA). We are educating the educators and positively effecting well over one million high school and college students around the country as a result. Have funded the “Summit On Site” program delivered by Summit Counseling Center in Johns Creek, GA where over 25 High Schools and Middle Schools in the North Atlanta area now have licensed therapist on site. Have handed out over 50,000 “Life Teammate – Love Ya Man wristbands” and stickers to kids, schools, teams and families across America – and around the world. Have awarded over 100 “Life Teammates Scholarships” to high school seniors, voted on by their peers. Have been honored as recipients for the PRESIDENTIAL POINT OF LIGHT AWARD, as well as recognized by CNN, CBS, Fox sports, The Big Ten Network, The Atlanta Journal Constitution, The Boston Globe and the Chicago Tribune and many other media outlets around the country. Have given over 500 speeches and presentations to kids, teams, colleges, high schools, parents , coaches, teachers, youth groups and churches of all denominations. Spreading our Life Teammates message of recognizing and loving your friends on and off the field. 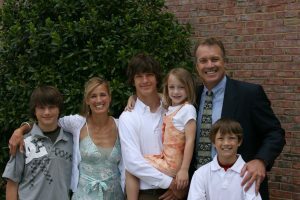 Our LIFE TEAMMATES program has sponsored TEAM WILL TO LIVE lacrosse, TEAM WILL TO LIVE baseball, soccer teams and tournaments in Atlanta, Chicago, NY, New Hampshire and Philadelphia. Have created a WILL TO LIVE FACEBOOK GROUP with over 3000 members by mid year 2018. Have a website that now attracts over 100,000 visitors a month – giving people information on where to go for help. hope, counselling, education, love, support and an increased Will To Live. Have helped thousands of kids fulfill volunteer hours for various honor societies, school credits and college applications. Have been honored to be a part of something special. In a nutshell… we want the foundation to be for, through and by the kids. We are often hearing: “parents talk to kids, coaches talk to kids, teachers, counselors and experts talk to kids.” In addition to these necessary forms of education for young adults everywhere, we want this foundation to encourage and incorporate KIDS TALKING TO KIDS! We’ve spent our whole lives as TEAMMATES in one way or another. We believe the best relationships of our lives, the most help, the best advice and the closest friends – our “life friends” – they were our TEAMMATES (any kind of team, not just sports teams!) – and most of these “Life Teammates” WE MET DURING OUR TEENAGE YEARS! The teens of today have already met some of the greatest friends that they’ll ever have, and we wanted to create a foundation that helped these kids take advantage of this fact! Our children agree that a compliment from a teammate means more than a compliment from a coach. In the same way, we believe that help and support from a friend may just be the most effective way to ensure our kids find that “Will To Live” – that will to fight through the difficult times, because they know they are not alone! We want the kids to help each other find the good that does indeed exist even during life’s most difficult trials. We believe and we have been shown over and over again, that even in life’s darkest moments that there is good and love and no-one can help a young adult find “the good” better than a close friend . Who are our “Life Teammates?” – that is the question we want the kids to be asking themselves and each other! Kids need each other and they need not be afraid to show their love for each other! Quite Simply – this community, your community, can not stand any more empty rooms! Help us help our kids find the Will To Live and prevent Teen Suicide together! The Programs of Will To Live! Click Here to Check out the Will-To-Live Timeline of Activities and Events!